WITH the recommendation of the National Judicial Council (NJC), the coast seems clear for Acting Chief Justice of Nigeria (CJN) Ibrahim Tanko Muhammad to mount the saddle as CJN. President Muhammadu Buhari is likely to accept the NJC’s recommendation that Justice Muhammad should be CJN, it was learnt yesterday. It was learnt that after receiving the NJC’s recommendations, the President elected to seek legal advice on them. 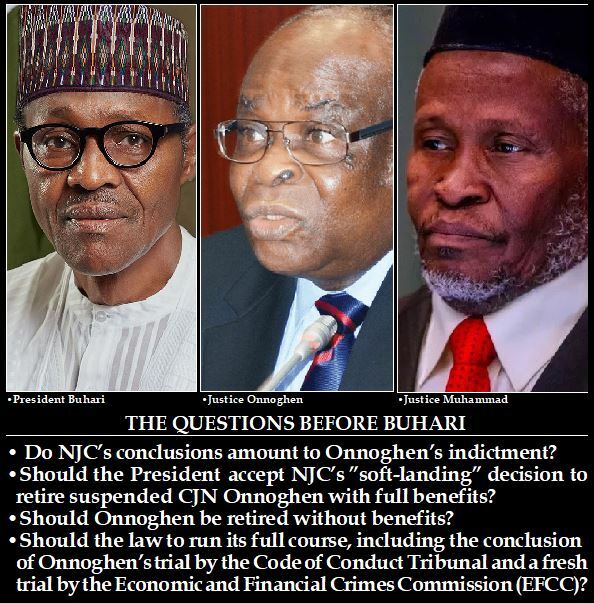 NJC Advises Buhari To Okay Tanko Muhammad For CJN 0 out of 5 based on 0 ratings. 0 user reviews.